Belle & Wissell partnered with photographer Todd Blubaugh in the co-creation of the photographic memoir, Too Far Gone. The travelogue and photography book is the latest from Belle & Wissell Editions (and published by Gingko Press). The project has already been getting attention from Juxtapoz Magazine and Iron & Air Magazine (a quote from its editor is included below). Photography from Too Far Gone. Some background on the project: Todd Blubaugh quit his job in pursuit of adventure on the open road. 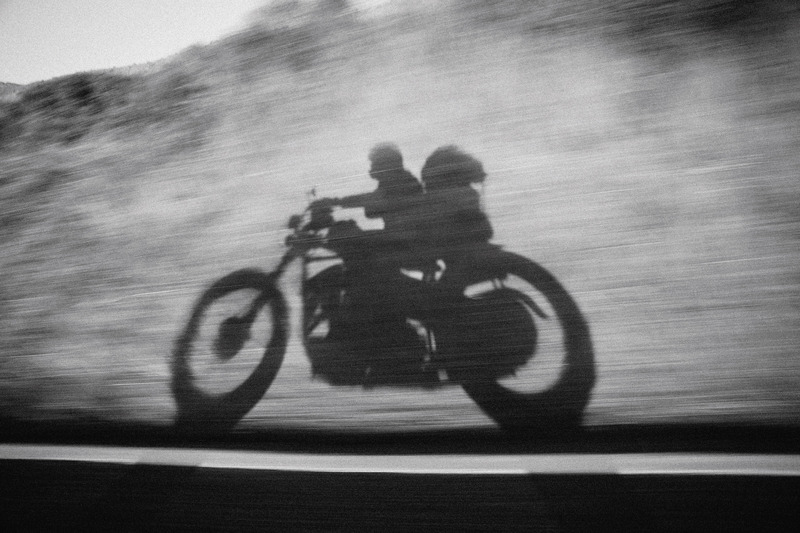 His long-planned trip criss-crossing the nation was meant to be an escape and an opportunity to forge a new existence while pursuing his twin passions for photography and motorcycle culture. With the passing of Todd’s parents only days before his expected departure, his journey took on unanticipated gravity. All told, Todd spent six months on the road, touching down in various U.S. cities during his transcontinental trip. His time spent traveling marks a personal sea change, and a period of great self-discovery. Too Far Gone is the photographic and anecdotal account of his experiences, presented through short vignettes as well as personal letters and artifacts. 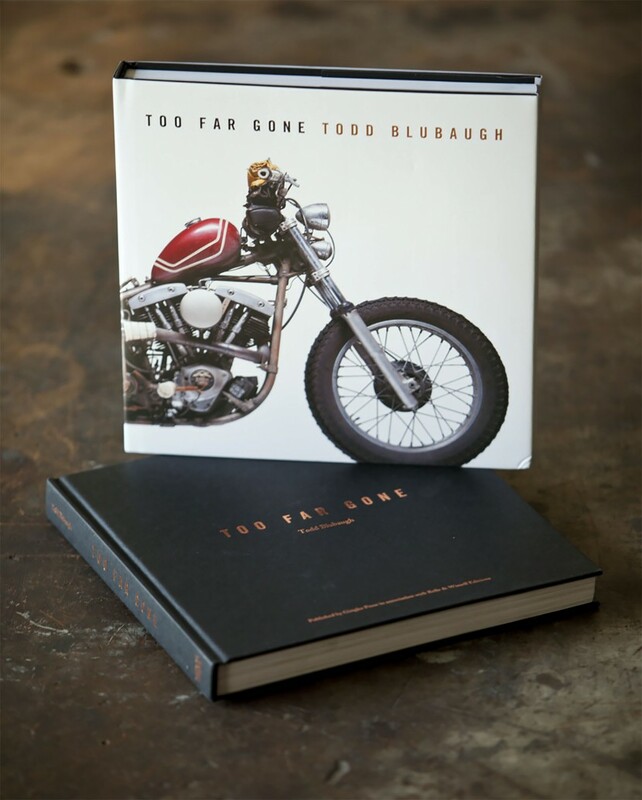 Threads of human experience weave throughout the text, presented in Todd’s compassionate voice and providing the reader with deep access to every detail of his trip, from the fine points of motorcycle culture to the deeply personal stories he encountered along the road. Too Far Gone breaks with the traditional motorcycle adventure narrative, joining mixed media pieces with a compelling story to create an engrossing visual experience. Jacket and book cover for Too Far Gone. 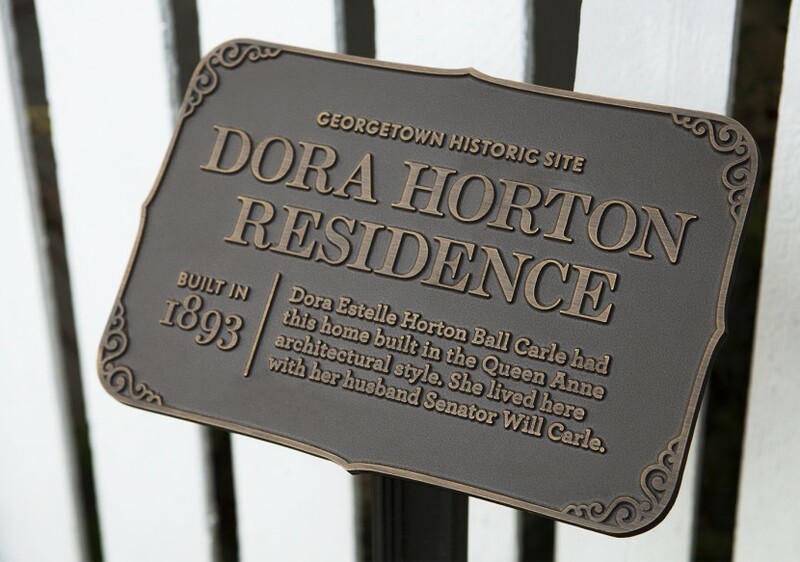 In collaboration with the Friends of Georgetown History, Belle & Wissell designed signage that fittingly integrates with the buildings and history of the Georgetown neighborhood. The informative placards recognize noteworthy buildings and residences, bringing greater awareness to this first settlement of King County. The Fred Marino Building now houses various local businesses and restaurants. 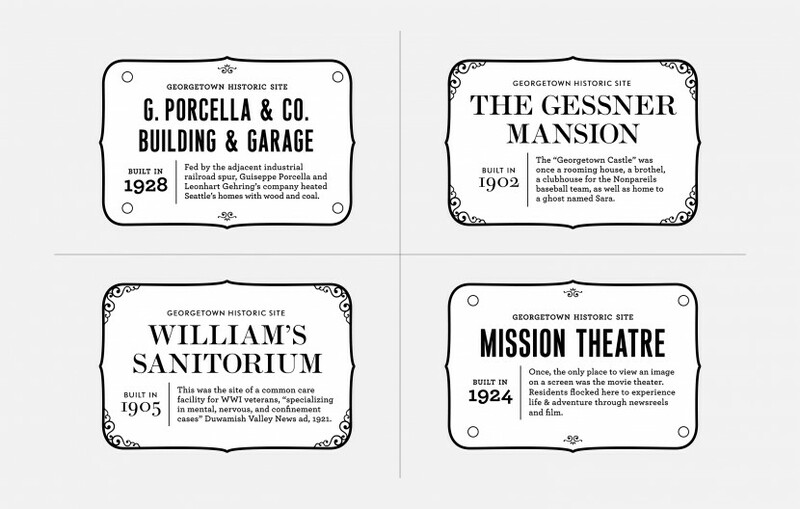 Belle & Wissell experimented with various stylistic approaches to the Georgetown Placards. Current-day Georgetown features numerous structures from its early history: vestiges from the hops agriculture and brewing industries that greatly shaped the neighborhood, and the broader Seattle economy. A vintage photograph of 12th Avenue South—Hamilton Hall. 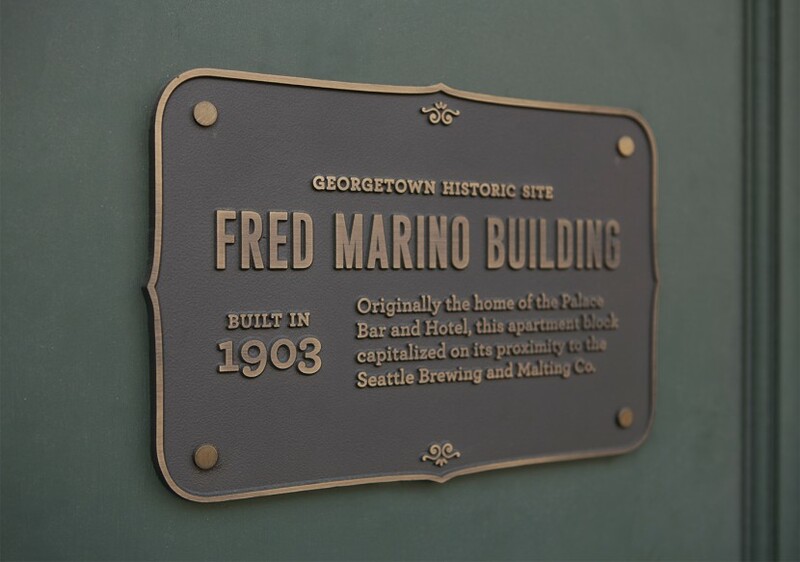 The placards—cast in bronze, and treated with a matte gloss—can be found throughout Georgetown, mounted or stanchioned on historical properties. Belle & Wissell applied varied designs for each building type: the residential placards are delicate and ornate, while those for businesses are clear and bold. 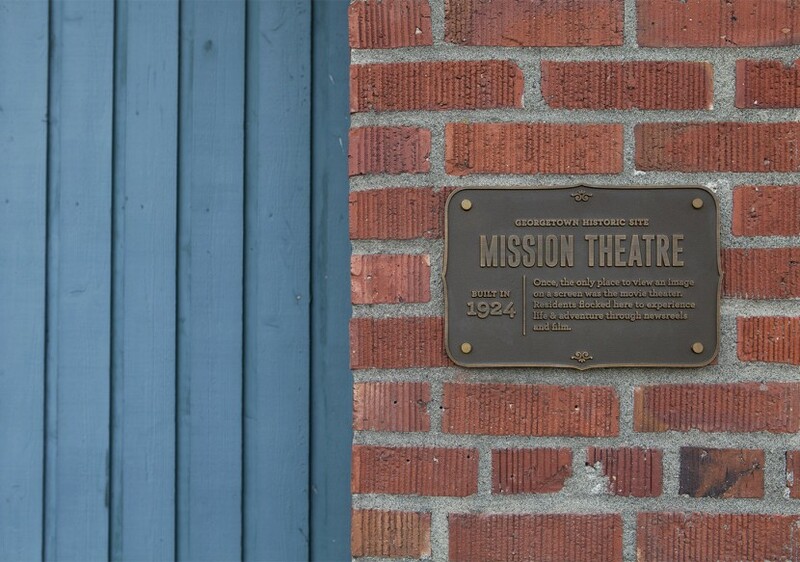 The Mission Theatre operated from 1924–1950. Now the Georgetown Ballroom, it is a popular venue for private events. 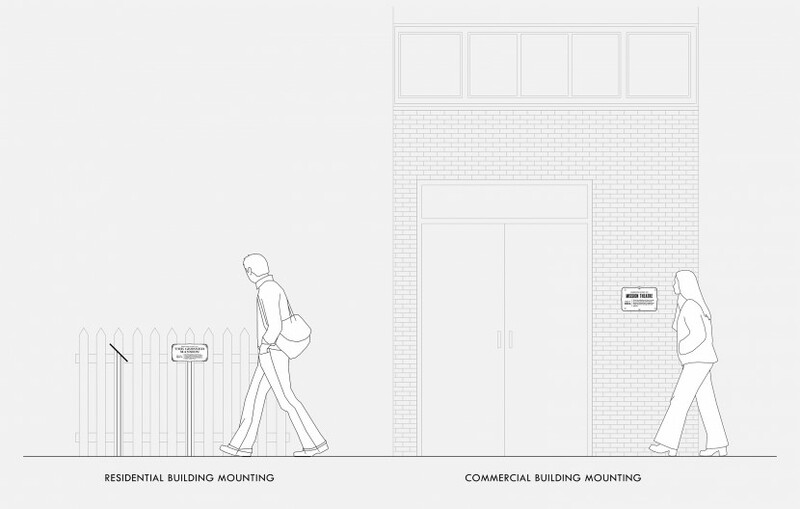 Belle & Wissell sketched how the placards would be mounted and viewable by passersby. Local Georgetown community members and businesses came together to write the descriptions of each, with the help and resources of the Friends of Georgetown History. Dora Horton and her husband Senator Will Carle’s residence. 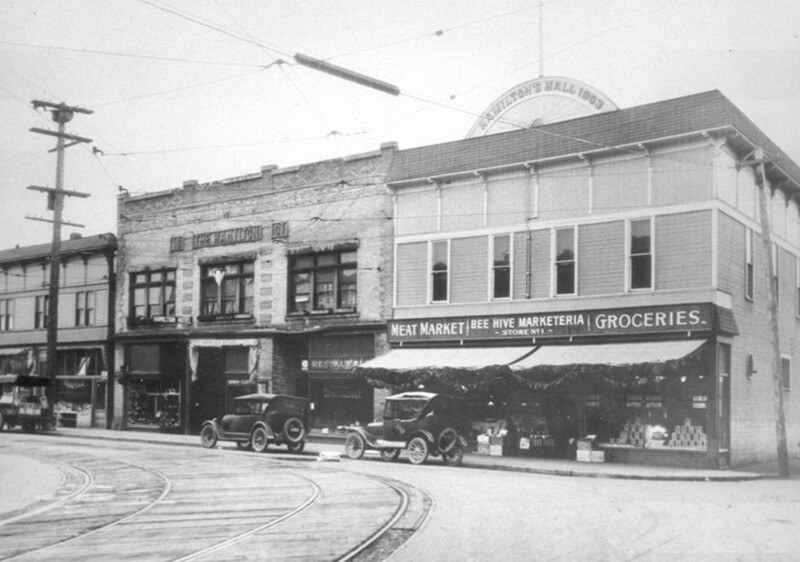 Click here to learn more about Georgetown history and its significance in the development of modern-day Seattle. The latest release from Belle & Wissell Editions, “R.H. 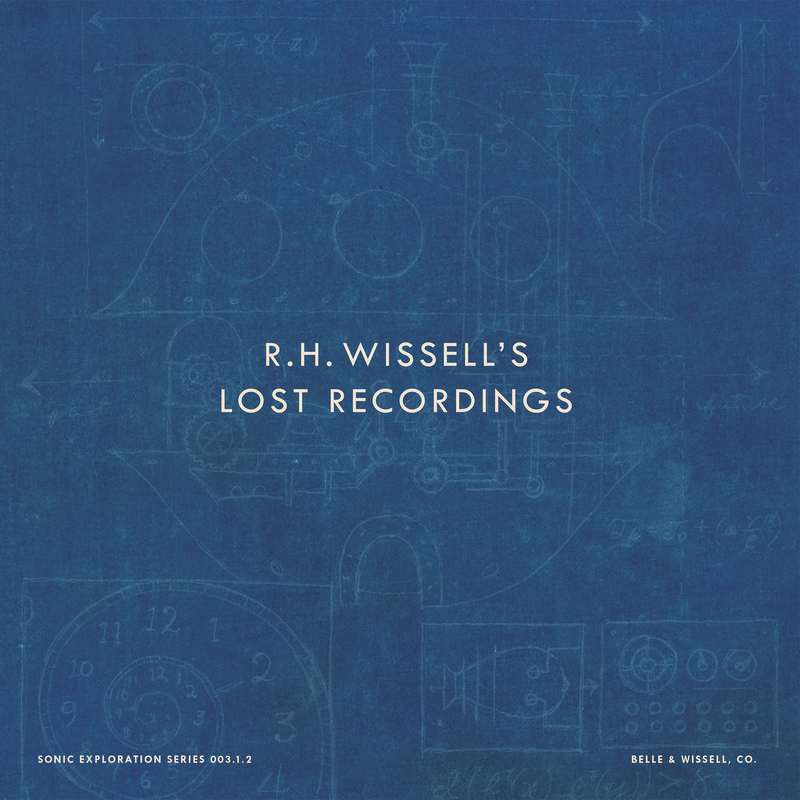 Wissell’s Lost Recordings” is an experimental record project that examines Wissell’s use of musical theory to explore and advance his time travel research. This project features acclaimed composers and producers Steve Fisk and Wayne Horvitz, concert pianist Cristina Valdes, writer and musician David Drury (Tennis Pro), and monologue voice talent from Fire Sign Theater’s David Ossman. A collective of “scientific enthusiasts” or The Society for the Preservation of Time Travel Studies presents this volume of Wissell’s scientific research (recordings) to foster discussion about whether there is indeed a connection between music and time travel. Their examination of his work centers on the two very different styles of music presented on the record, especially curious because the second track on side A contains methods of sound making that would not have been possible for Wissell to create in 1910. 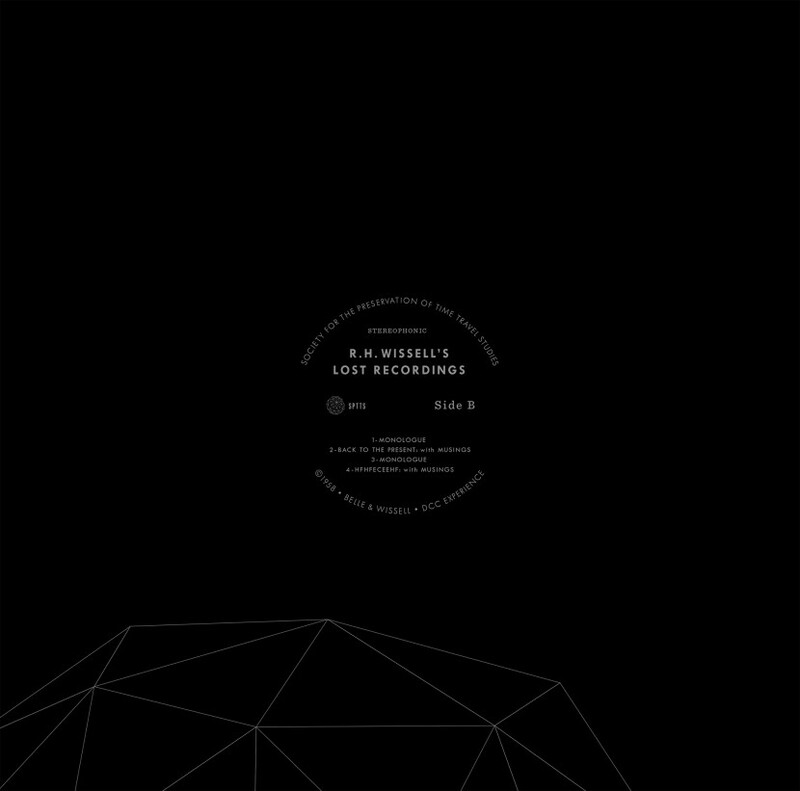 Also, Wissell’s own voice recordings (accompanying the music on side B) highlight the connections he’s made between the two. This project is a collaboration between Belle & Wissell and DCC Experience, with an array of vital contributors. This project became a natural extension from collaborations on EMP Museum exhibit projects with DCC producers William Ronan and Steve Fisk. “R.H. Wissell’s Lost Recordings” is part of the series “The Story of Belle and Wissell®” from Belle & Wissell Editions.